Anthea Palmer (Jimmy Hornet Founder) discovered Veronica Nunes on a youtube video. A fan of salsa and latino music, Anthea was impressed by Veronica’s voice and ukulele playing. She was also aghast at the guitarist’s skill, and the energy the two achieved when playing live. Anthea reached out to see if Veronica was interested in playing in Zhongshan when next touring Asia. 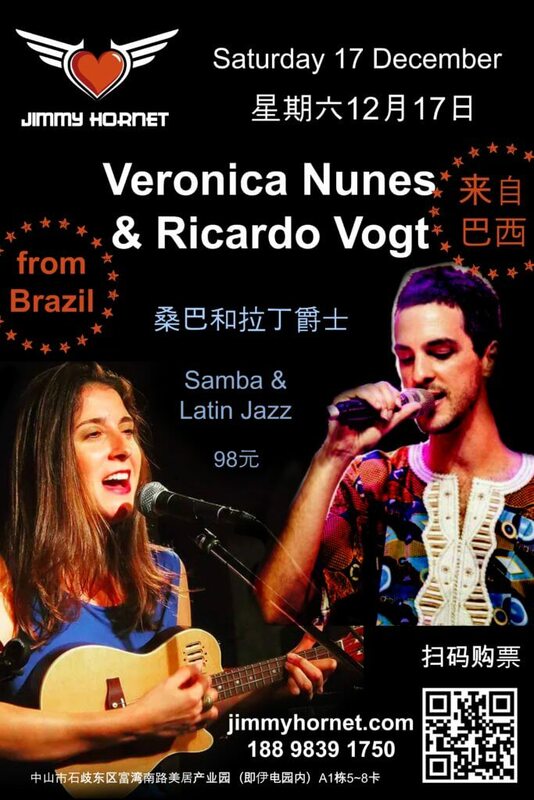 Many months later Veronica advised she and Ricardo Vogt (guitarist featured in the youtube clip) were booked to play the Beishan Jazz Festival in Zhuhai and would love to add Jimmy Hornet Zhongshan to their Tour list. 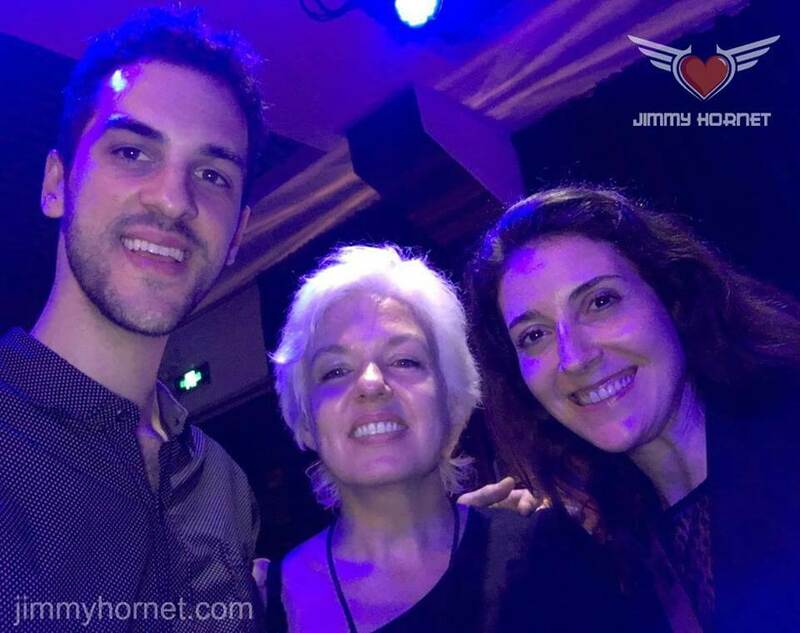 The first time Ricardo and Veronica performed at Jimmy Hornet was 17 December 2016. 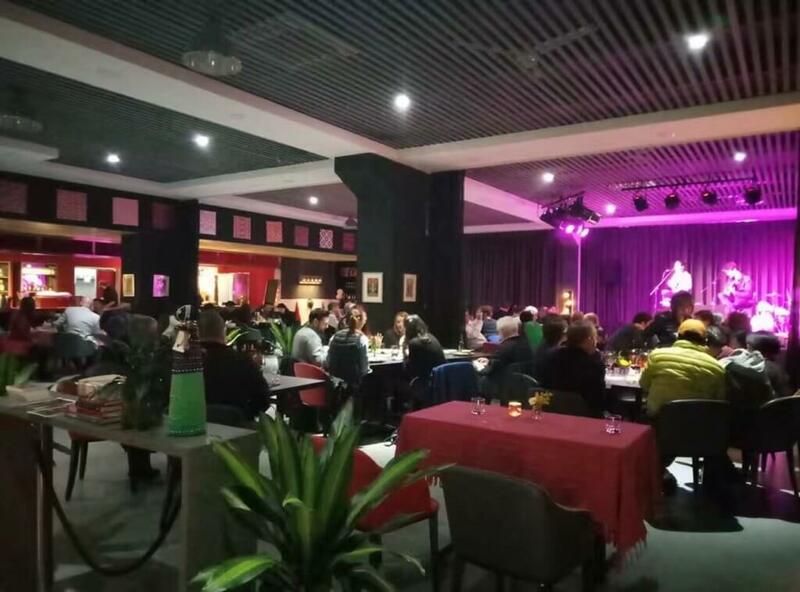 It was the third music event hosted in the new venue. 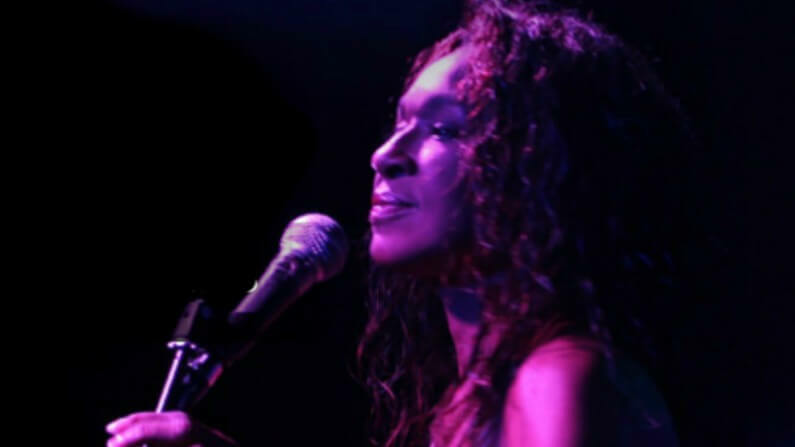 A native of Rio de Janeiro, singer Veronica Nunes, daughter of a classical pianist, grew up in a musical environment listening to traditional Brazilian styles such as samba, choro, and classical music. Since the age of fifteen Veronica has been a professional musician. Nunes studied music at the Brazilian music school EPM, taught by master musicians of choro music, a traditional Brazilian style precedent to samba. 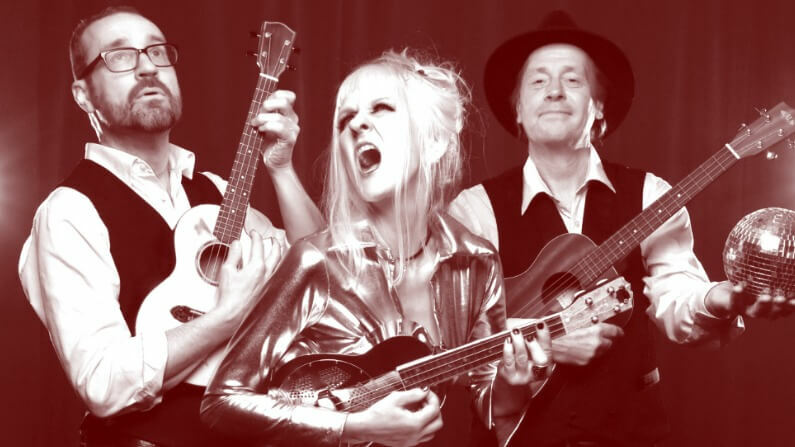 At EPM, Veronica studied voice as well as the guitar and cavaquinho, a Brazilian version of the ukulele, traditional to samba and choro music. In 2009 Veronica moved to New York and became a member of the famous New York-based Brazilian band, Brazooka. The band regularly performed at the legendary club Cafe Wha in the Village. The club also hosted stars like Jimi Hendrix, Janis Joplin, and Bob Dylan. Whilst in Brazooka band, Veronica met the Grammy award-winning guitarist Ricardo Vogt. 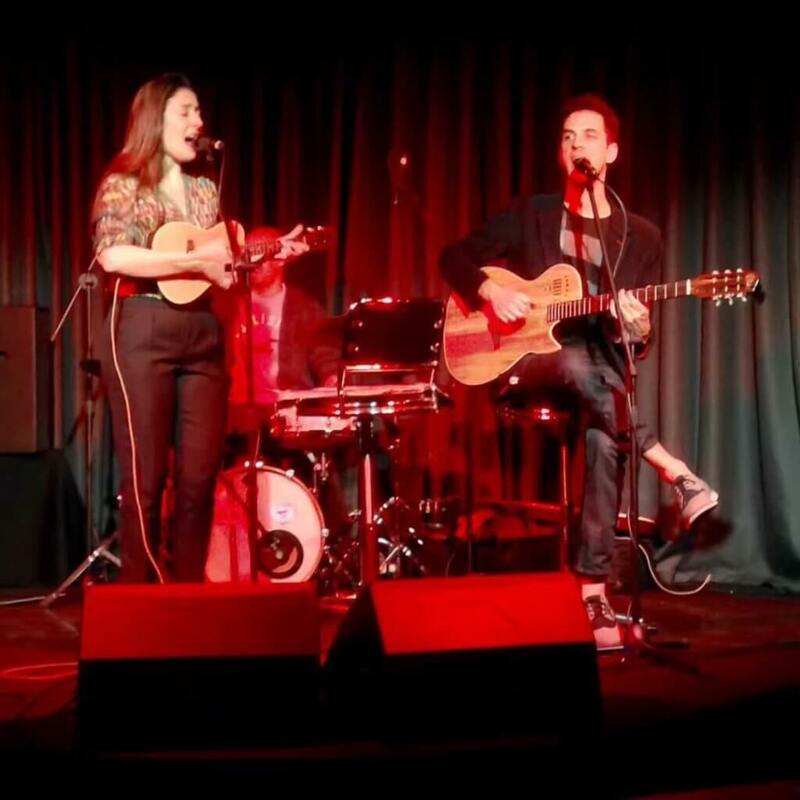 Veronica and Ricardo left the band to begin their own project, recording their debut album entitled Pra Fugir da Saudade in 2013. This led them to tour the world with three other Grammy award-winning musicians: drummer Rafael Barata; trombonist Alan Ferber; and bassist Arthur Maia. 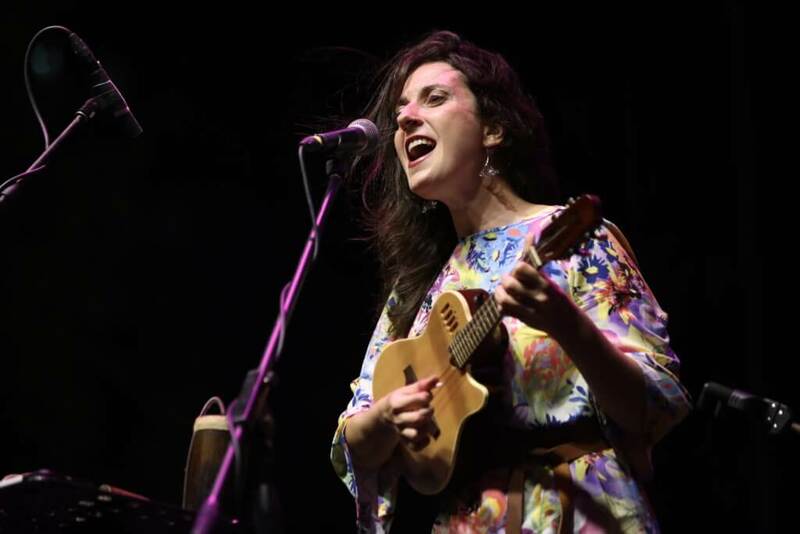 Veronica’s music has caught the attention of American star Paul Simon, former Brazilian minister of culture Gilberto Gil, as well as Seu Jorge, who highly praised her music and artistry. 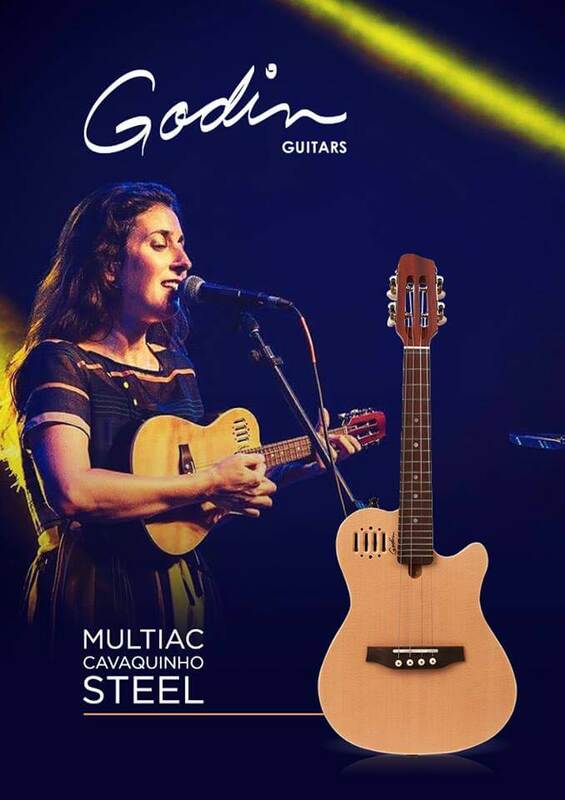 Veronica is also featured as an endorsing artist for Godin Guitars, who designed their first cavaquinho especially for Veronica, and the instrument is now distributed worldwide. Ricardo was born in Rio Grande do Sul Brazil. He is a genuine prodigy in the art of music. His musical talent became visible at an early age, and at nine he was awarded the first prize at the Traga Sua Musica World Festival for his original composition. A singer in his own right, Vogt also became the lead vocalist for the Cassino Orchestra Show Band in 2000. Soon after, Ricardo made his way to the United States where he attended the Berklee College of Music in Boston, MA. 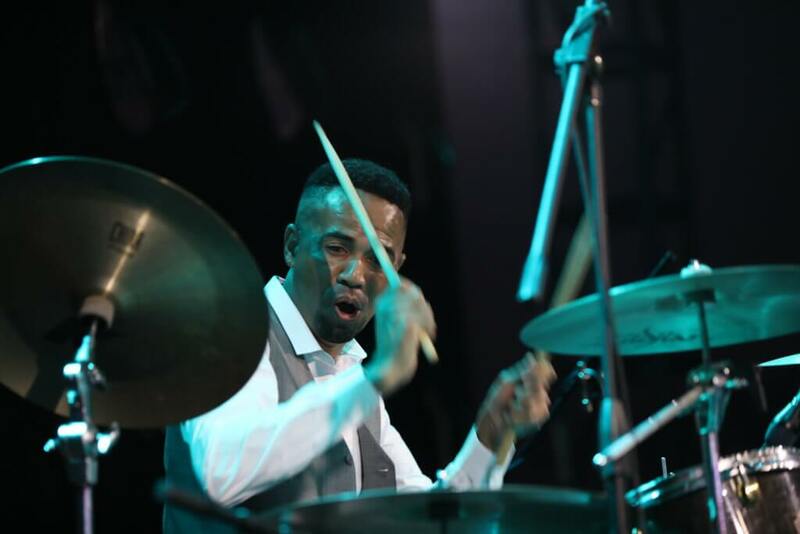 Ricardo was invited by Esperanza Spalding to join her band, which led to several worldwide tours, three Grammy awards and numerous television appearances. He performed at the Nobel Peace Prize Ceremony for President Barack Obama and Rock in Rio as well as opening shows for Prince, Carlos Santana, and George Benson. Ricardo is also a distinguished singer/songwriter. One of his compositions is featured on Sergio Mendes latest album called Magic. He also has written several songs in partnership with Milton Nascimento and Pedro Bernardo. Their songs are being released in an album produced by Ricardo that also features Downbeat Best Jazz Vocal Award-winning Leala Cyr. 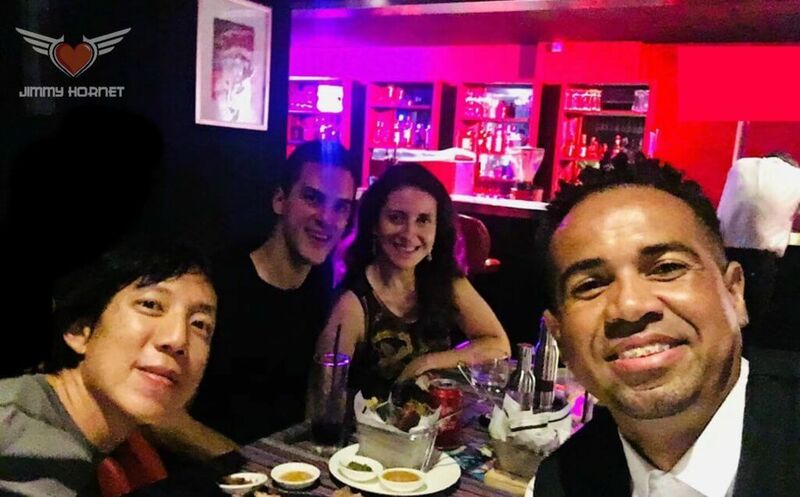 In 2018 “Ricardo Vogt Latin Project” played at Jimmy Hornet regularly on Tuesday nights. 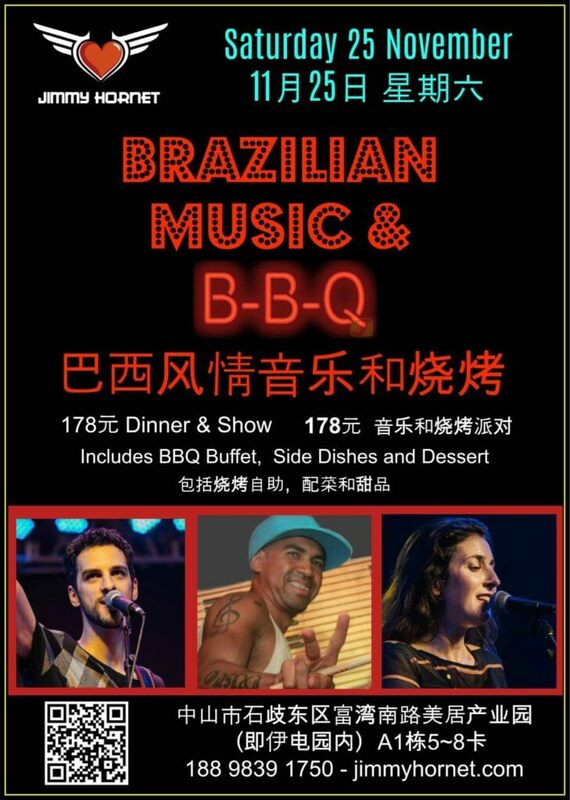 Joining Ricardo and Veronica on stage were longtime drummer Diego Oliveira and Justin Siu on double bass. 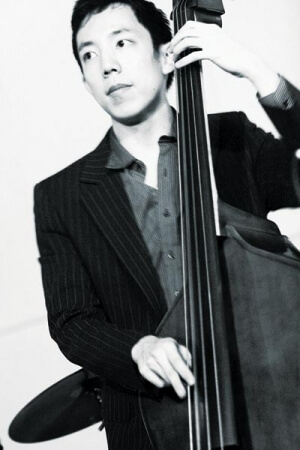 Justin Siu is the founder of The Jazvolution Band based in Hong Kong. 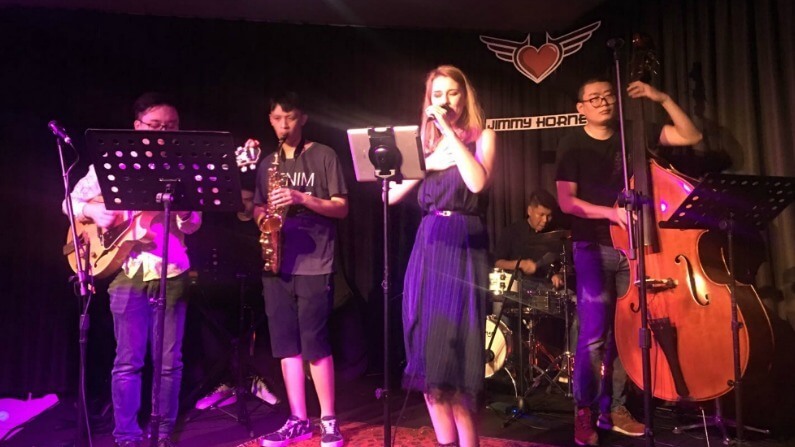 Upon appointment as the musical director of one of the finest live music venues in Hong Kong, The Blue Bar, Justin began working with many international artists, who were invited to perform with the resident band, led by Justin himself. 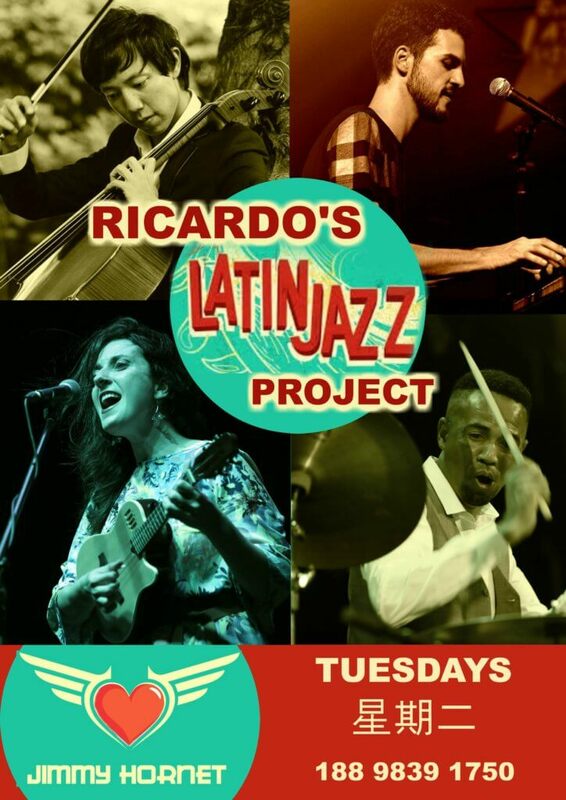 Ricardo’s Latin Jazz Project – Tuesday nights July to September 2018.